When you use the Primvital Fibre, thanks to its ingredients (Plantago psyllium, Plantago ovata) you feel many wonderful benefits. 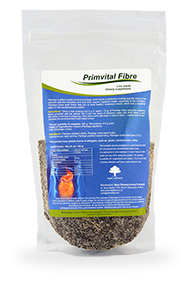 Ingredients of the Primvital Fibre – Plantago psyllium and Plantago ovata have a positive effect on your gastrointestinal tract, especially your bowels. They help to remove leftover food from the bowels and increase intestinal peristalsis, which means moving food along the bowels. Special substances contained in Primvital Fibre, i.e. Plantago psyllium and Plantago ovata increase intestinal peristalsis, swell in the bowels and carefully remove all toxic compounds. You no longer leave the toilet exhausted. You spend there as much time as is really required – just a moment. You can defecate regularly. It is very important for pregnant women or people with hemorrhoids. Primvital Fibre is an ally to your heart – Plantago ovata cares about proper cholesterol level in your blood. Thanks to its consistency it removes bile acid from the bowels, and this reduction of bile acid enables your body to keep proper cholesterol level. Plantago ovata not only supports your heart by maintaining proper cholesterol level, but additionally helps you with keeping proper lipid level! Take care of yourself, keep a healthy diet, do not avoid physical exercises and Primvital Fibre will provide you with extra support. As we all know, a healthy mind in a healthy body! Feel young! When you feel good, you also look better! Fibre plentiful in Plantago psyllium is very beneficiary to the gastrointestinal track and increases intestinal peristalsis. Additionally it removes food deposits from the bowels and helps to maintain proper cholesterol level. Join over 155 000 people and order Primvital Fibre.